Tasting Note: Made with the Perfect Touch of Five Savory Peppers! 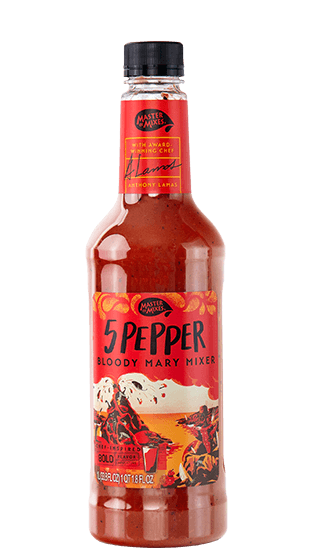 Experience the sizzling sensation of 5 Pepper Extra Spicy Bloody Mary made with the perfect touch of hot pepper sauce. Master of Mixes 5 Pepper Extra Spicy Bloody Mary presents a unique blend of 5 savory peppers with pure lemon juice and juice from vine ripened tomatoes.